Delicious and gluten-free rarely go hand-in-hand, but my family and I swear these muffins are addictive. These muffins are sinfully delicious yet good for you. The combination of blueberries, bananas and rice flour make them light, sweet, and filling. First, we have used them as snacks or desserts while on doing a detox diet, but now they are one of our go-to treats. Whisk first five ingredients in a mixing bowl. If using a muffin pan, oil it with some of the melted coconut oil. In a separate bowl, use the next three ingredients. Mix the content of the two bowls, then add the blueberries. Fill cups with muffin mixture and put trays in the oven for 20 to 25 minutes. Resist the temptation to eat too many. Consider doubling the recipe, so you won’t have to make two batches in a row. I am speaking from experience on this. 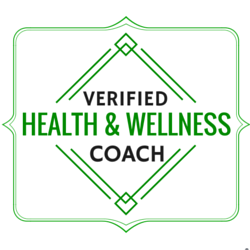 Aigle Health is a boutique health coaching practice aimed to help busy professionals soar towards their goals. We consider foods and all areas of life that nourish individuals. Most of our group and one-on-one coaching programs are held online. Learn more about us at www.aiglehealth.com and sign up for a free consultation.